The threads that cross the gaps between the "sepals" of the Hydnora flower when the flower opens are pulled apart after a few days. Any beetles that entered the flower through those threads can now easily escape. 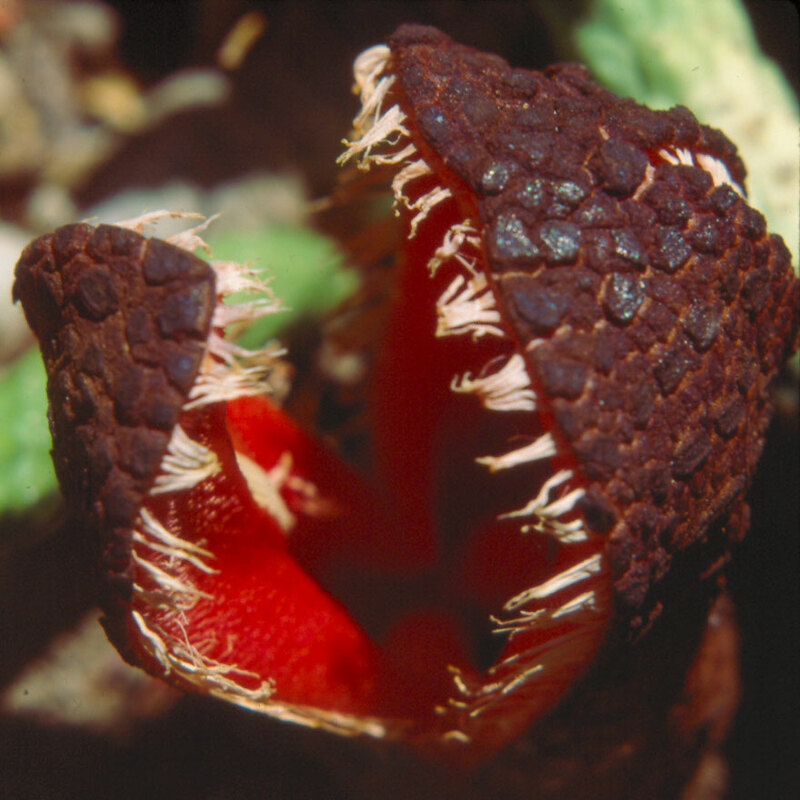 Return to the Hydnora africana page or the Parasitic Plant Index.